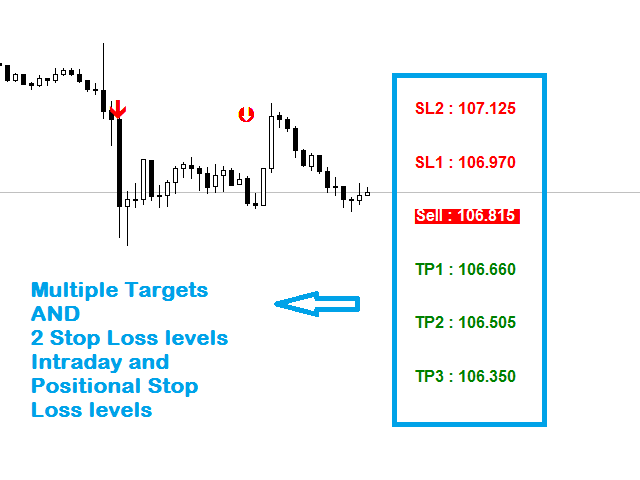 This is an indicator that will provide logical entries, stop loss and targets. 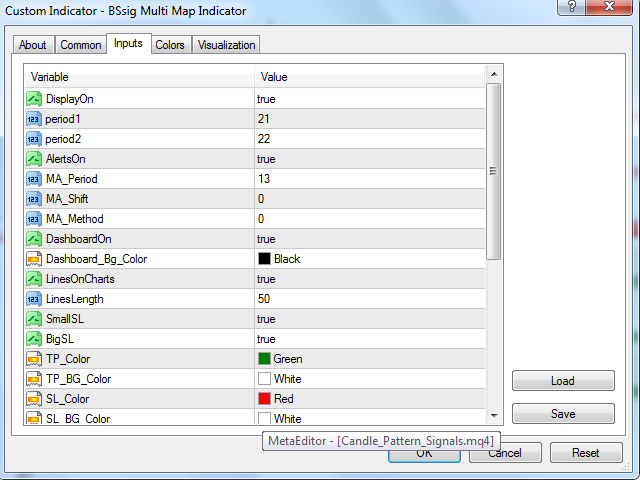 The entry logic is based on MA crosses, which can be best optimized as per the traded stock/currency. 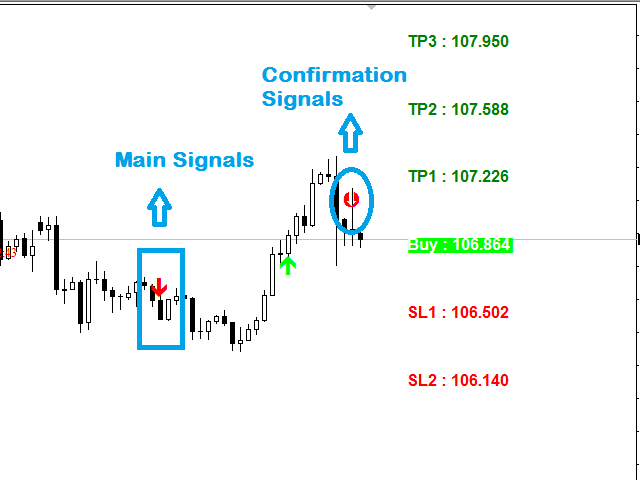 This system can be used for day trading or scalping on M1 to M15 charts as well as swing or positional trading. 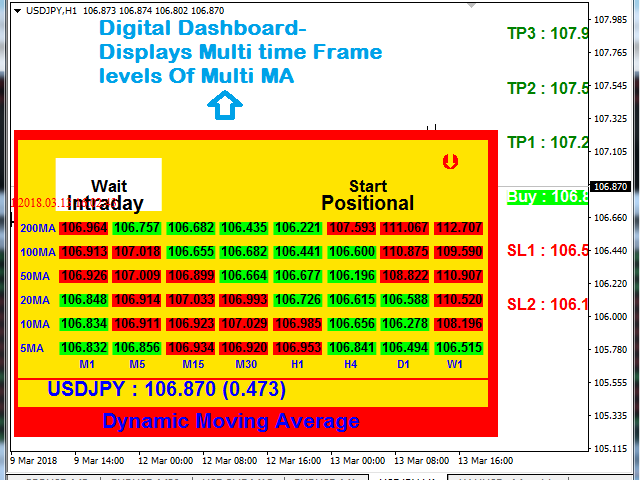 Trend dashboards are of 2 types - one is a multitimeframe indication of the trend and the other a detailed multi-period MA and multitimeframe analysis of MA, color-coded for easy visual display. 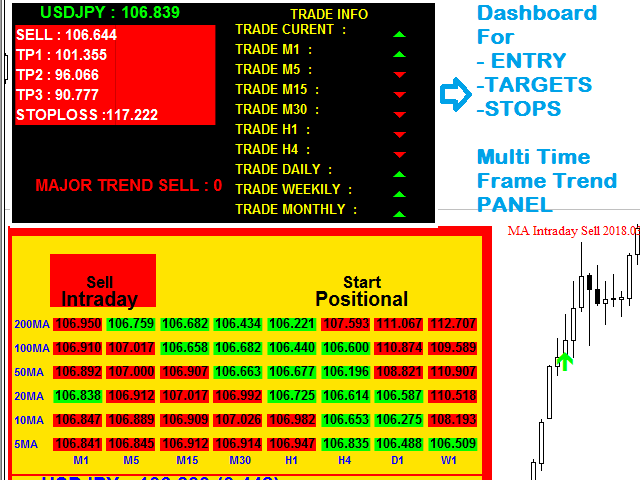 The digital dashboard for the MA gives a quick preview of the current market movement. 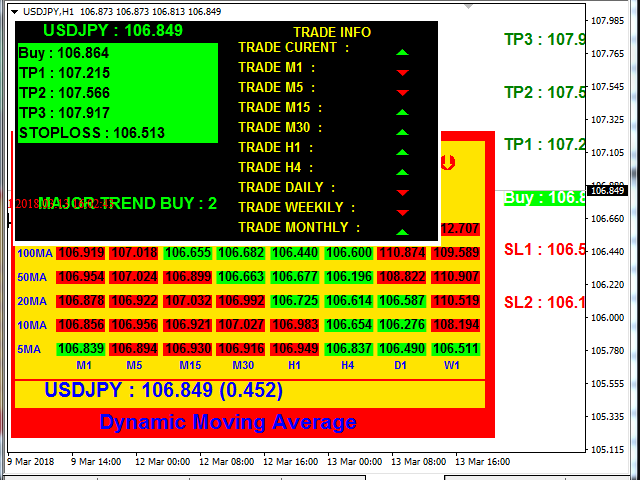 The trend filters can be used for final entry - the dashboard displays the trend for all timeframes - M1 to MN - indicated by colored up or down arrows. 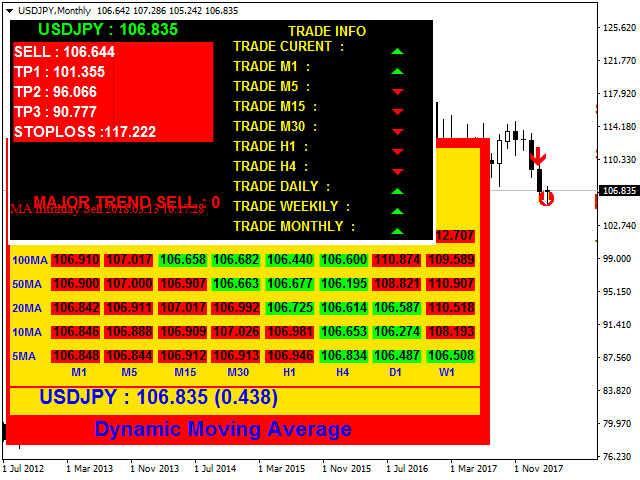 When a trade entry comes, the trend of the higher timeframes should also confirm the direction in favor of the entry. 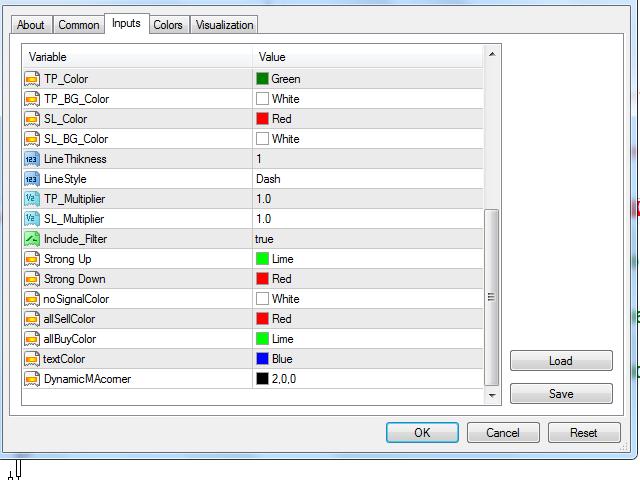 This will provide a filtration of trades.